The type and quality of the thread you use will determine the strength of the stitches and the overall hold of the garment. 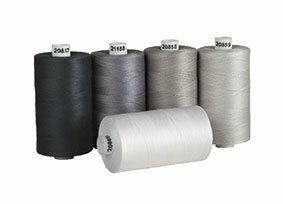 There are different types of thread for different projects and because of this many a thread breaking problem has been caused by faulty or wrong thread. 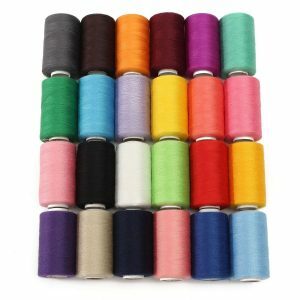 These threads come in 24 different colours on a large spool accommodating 1000 yards. They are polyester and are best used for embroidery, hand sewing and machine sewing. They are also used in knitting, cross stitch, crochet and weaving. 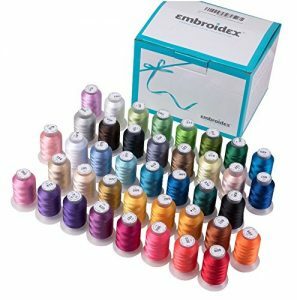 The bundle contains 24 spools of thread. You get 40 beautiful spools of thread in this lot, which holds 550 yards on each spool. The colours they come in correspond to the brother thread numbers so that they can easily be matched. 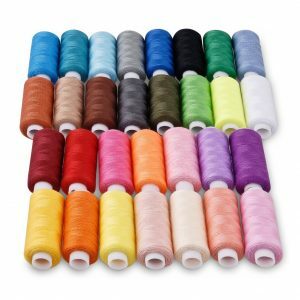 These 40 weight polyester threads are used for regular machine sewing as well as in embroidery. Here you can learn more about thread weight. This lot comes with 30 polyester threads also in an array of colours. Perfect for hand and machine sewing, you get 250 yards on each spool. Still not needing as many threads? These threads are fully cotton and hold 1200 yards on each spool. The size of the centre cone will fit comfortably on a regular size sewing machine spool spindle. Their satin finish results in a very smooth and shiny appearance and a beautiful finish on the garnets or projects on which they are used. The collection is called salt and pepper, which comes in black, white, grey, stone and silver, a total of 5 thread spools. Also mercerized to have a satin finish, this spool of thread is made of Egyptian cotton. It holds a total of 1422 yards on the spool and is a good fit for serging, quilting and embroidery machine projects. This is a high quality 100% cotton product.